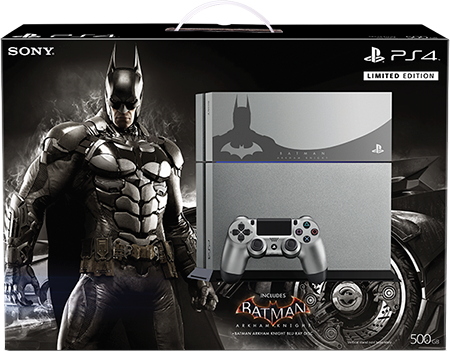 Sony just released news that they will release a special "Limited-Edition BATMAN: ARKHAM KNIGHT" Playstation 4 Console! 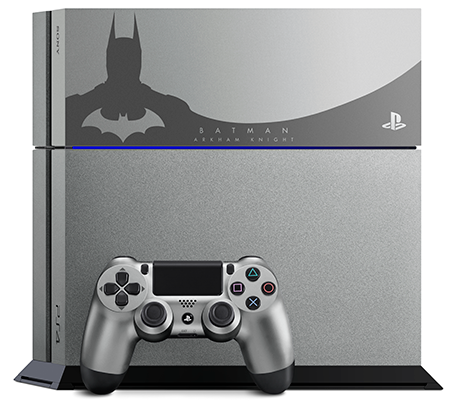 It will be steel grey with a custom faceplate. Also, the controller will be silver as well. 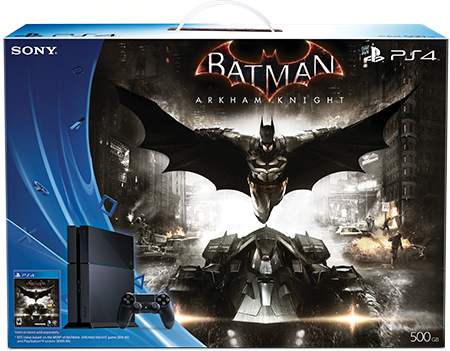 They also have plans to sell the game packaged with a standard edition (black) console at the regular price. Oh yeah, did I mention that there will be bonus download material? There will be a special "Scarecrow Nightmare Missions", Two New Skins (Justice League 3000 Batman and Classic 1966 TV Series Batman), and the B:AK Batmobile with a Classic TV Series Theme!